Take comfort in knowing that your cat is enjoying ultra-modern surroundings, a multi-level play area, premium-quality meals and a private, discrete bathroom box. Cats are also treated to Feliway®, a pheromone diffuser that helps them quickly and calmly settle into their temporary accommodation. Condos can be booked for short- or long-term stays, meaning that puss won’t be left out in the cold during a last-minute rental inspection or your month-long trip to Europe. 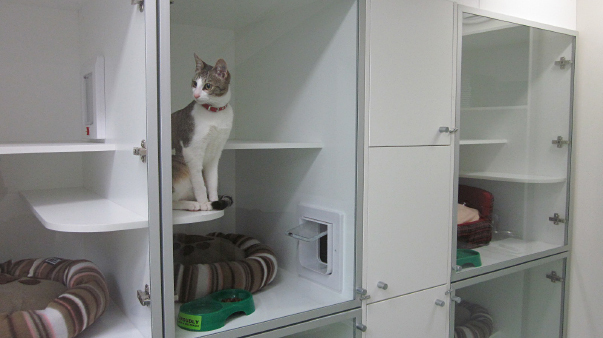 Call Swan Street Vet today (03) 9111 0000 to make a booking for your cat at our kitty condos.